A wet and wild time was had by all when NBC ‘World of Dance’ contestant and ‘So You Think You Can Dance’ winner, Fik-Shun, in collaboration with Bunch O Balloons, surprised unsuspecting party goers with an epic #SplashMob performance at a summer pool party attended by top World of Dance talent. Taking place in Los Angeles, California, the pool party was attended by over 50 World of Dance performers, including Autumn Miller (Spring Sisters World of Dance), the Miniotics Dance Crew (America’s Got Talent Season 11), Hall of Fame Dance Team and Soul Fresh to name a few. The world’s first Bunch O Balloons #SplashMob was captured using twelve cameras and more than 5,000 self-tying Bunch O Balloon water balloons and has been shared with World of Dance's five million followers on YouTube and Facebook. The action kicked off when Fik-Shun, posing as a police officer, came to shut the raucous party down but was instead struck by a Bunch O Balloons water balloon thrown by Autumn Miller. The crowd was shocked into silence and then surprised as the two broke into dance and were joined by the Miniotics, Hall of Fame, Super Fresh and other dance crews to music spun by DJ Mike Murda of Super Cr3w. The combination of YouTube’s top dancers and choreography from Ricky Cole, a member of Soul Fresh, created a cool and intricate collaboration which resulted in a fun-filled partnership between the two brands. The global Kickstarter sensation and Outdoor Category Best-Seller and Toy of the Year winner, Bunch O Balloons by ZURU are revolutionary self-tying and biodegradable water balloons that quickly and easily fills and ties 100 water balloons in less than 60 seconds. Click HERE to find a store near you that sells ZURU Bunch O Balloons! Click HERE to learn more about ZURU Bunch O Balloons! Follow ZURU Bunch O Balloons on social media! innovative toys. Inspired by kids and imaginative play, ZURU is one of the fastest growing toy companies and is known for their agility, creativity and new-age manufacturing techniques. The company employs more than 400 staff, has 10 offices and supplies most major retailers in 120+ countries. ZURU has delighted millions of families all over the world through partnerships with entertainment properties, including Nickelodeon, Disney, Universal Studios and DreamWorks as well as successfully building their own global brands such as Bunch O Balloons™, Zuru Fidget™, X Shot™, Robo Alive™, Micro Boats™ and Hamsters in a House™. Let’s reimagine play, everyday! Click HERE to learn more about ZURU! Follow ZURU on social media! World of Dance is the preeminent global dance brand, combining the world’s largest international urban dance competition with the largest digital platform for dance driving more than 30 million monthly views, and now the inspiration for the new television dance competition of the same name airing on NBC with Jennifer Lopez, Derek Hough, and NE-YO. What began in 2008 as a single event has become a continent-spanning, tour de force of human spirit and sick dance moves. 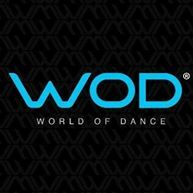 The World of Dance Tour and WOD Live showcase events attract YouTube stars, industry icons, and tens of thousands of fans to venues in more than 30 countries, spanning the U.S., Europe, South America, and Asia. No animosity. Just pure, awe-inspiring movement. Leveraging the company’s success in creating content and operating media platforms with direct consumer impact, the company provides brands with an authentic 360- degree immersion into youth culture through its full-service in-house production studio, WOD Digital Lab. From influencer integrations and branded content to product seeding and lifestyle experiences, WOD Digital Lab connects brands with today’s connected generation. Click HERE to learn more about World of Dance! Follow World of Dance on social media!